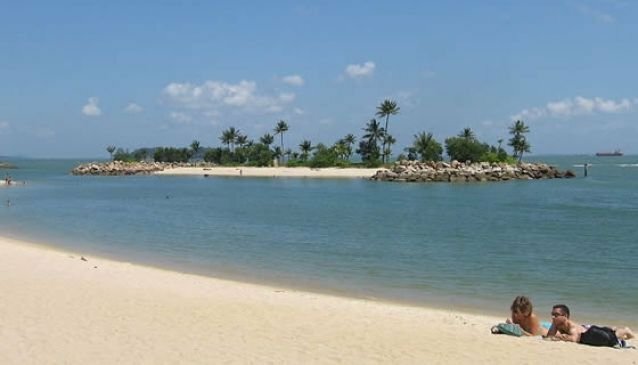 During the week, Tanjong Beach is a favourite hideout on Sentosa Island for those in search of peace and tranquility. With its pristine water and white soft sand beach facing an islet, this is a lovely setting to truly unwind after a busy day at work. The beach also features a volleyball court which is free to use on a first-come-first-served basis. This beautiful stretch of beach gets especially romantic at night when the sun comes down but also particularly animated when its unique and famous bar- restaurant Tanjong Beach Club hosts a beach party or on Sundays for its popular brunch. On that days Tanjong Beach attracts all the crowd of young and hip island goers.